The entire OLBI team welcomes Anne-Chantal Soucie as the Director of the French Immersion Program. She has over 25 years of experience in high school and college education. She has taught and co-ordinated French courses, developed study programs as a pedagogical advisor, established partnerships with the MAESD (Ministry of Advanced Education and Skills Development - Ontario) and other institutions. She also led a Center for pedagogical support. Anne-Chantal is herself a graduate of the Faculty of Arts with a specialization in French Literature. She also holds a Bachelor in Education and a Master in Education, Leadership in Education. She considers herself life-long learner. We wish her every success in her new position! 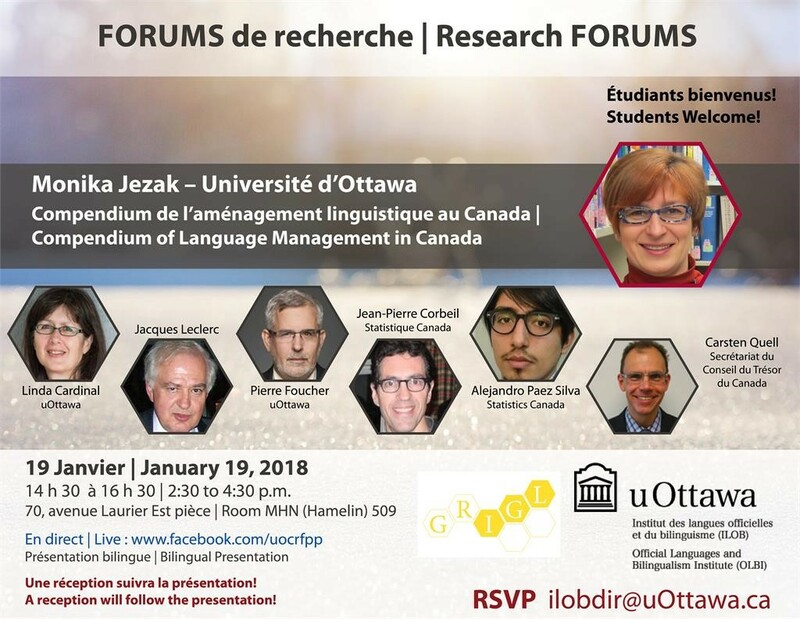 Jérémie Séror, Director of OLBI and Associate Dean of the Faculty of Arts, and Nikolay Slavkov, Director of the Canadian Center for Studies and Research on Bilingualism and Language Planning (CCERBAL), participated in the ECML colloquium “Teacher Education for Linguistic Diversity” on December 13-14, 2017 in Graz, Austria. The videos of all sessions, PowerPoint presentations and photos of the event are now available online. A summary of the conference carefully articulated by our director Jérémie Séror is at the end of this video (1:30:48) and is not to be missed. We encourage you to have a look!